The Easter Egg Hunt at Glemham Hall will take place on Saturday 20th April 2019 between 10am-3pm. Join us for an egg hunt in the gardens, solve the riddle and claim your prize! Your children will then be entertained with a range of Easter crafts and activities! A perfect opportunity to enjoy the gardens of one of Suffolk’s finest stately homes! Found on the outskirts of the pretty village of Little Glemham, just outside Woodbridge, stands Glemham Hall surrounded in 300 acres of beautiful Suffolk parkland. A long, sweeping drive leads you directly to the 16th century family home, offered exclusively to you and your guests, ensuring complete privacy for your wedding day. 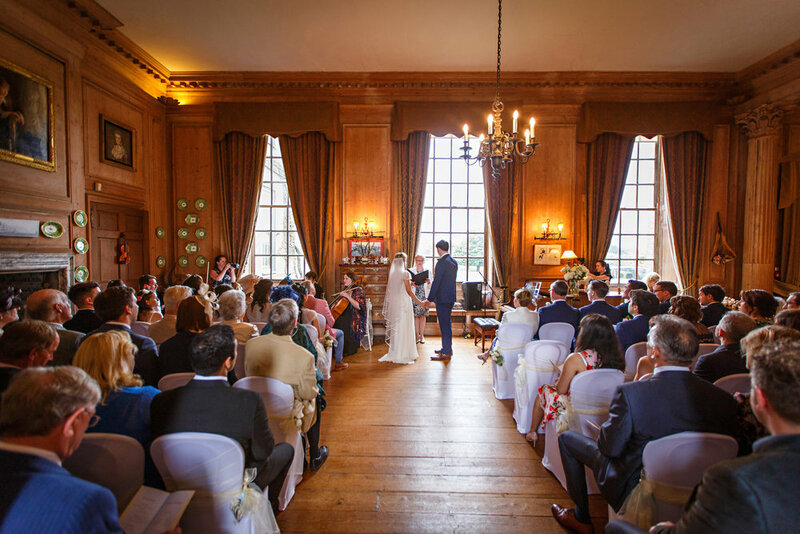 Licensed for ceremonies, the Great Hall and our outdoor venue, the Summerhouse, are perfect for intimate occasions or larger ceremonies for up to 95 guests. If a church ceremony is what you are dreaming of, St Andrew's is a beautiful countryside church on the Glemham estate, just a five minute stroll from the Hall through our gardens. Whether you've celebrated with a religious or civil ceremony, enjoy a walk through the Yew Tree avenue to the rose gardens for a relaxing drinks reception. Our luxurious marquee is the venue for dinner and dancing. Furnished with ivory linings and glass chandeliers, it can seat 50-170 guests for formal dining, with a maximum of 200 guests for the evening. Easy to find and located just off the A12, Glemham Hall is a 2.5 hour drive from central London. Nearby, the pretty towns of Aldeburgh, Framlingham and Woodbridge have a great selection of special places to stay. 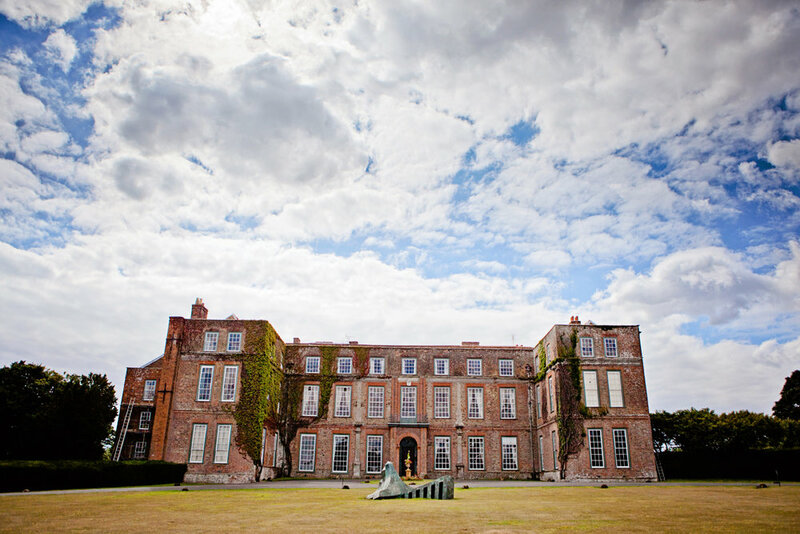 Glemham Hall is a beautiful Country House Wedding Venue in Suffolk with stunning Gardens and a Luxurious Marquee. Perfect for Weddings, Parties and Outdoor Events. Built circa 1560 by the de Glemham Family, Glemham Hall is now owned by Major Philip Hope-Cobbold who inherited it from his uncle in 1994. With a proud history of changing architecture and landscape, Glemham Hall has a wonderful history waiting to be discovered, join us for one of our house tours where you will explore the hall from the attics down to the cellars! Today, the 3000 acre estate hosts a working farm, as well as a busy and varied events calendar, featuring folk festivals, garden theatre, cycling events, antique fairs along with our house & garden tours. Donna has lead our dedicated events team at Glemham for over 7 years. Her passion and dedication to Glemham Hall and all of the events and weddings that take place ensures every function is delivered with care.